COMMAND YOUR BAGPIPE! Episode 2: Tactics to IMPROVE your PRACTICE is up! Want to see better results from your practice time? 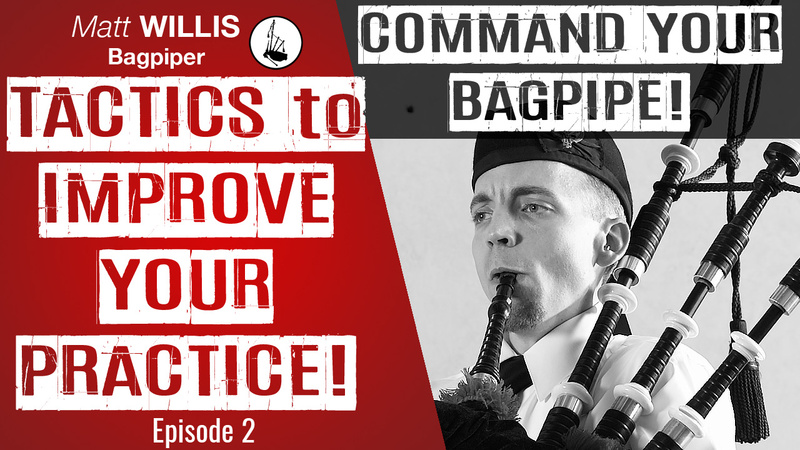 Head over to watch my newest episode of the COMMAND YOUR BAGPIPE! YouTube series. This episode is all about structuring your practice to get the most of your time when you practice! Free PDF downloads of practice templates and warm-up exercises in the description on YouTube. And if you want to see the process in action, here is a link to me practicing for 60-minutes using the tips and tactics discussed in the episode.. While you’re there, please subscribe to my channel! Looking to get to 1000 subscribers by St. Paddy’s Day!